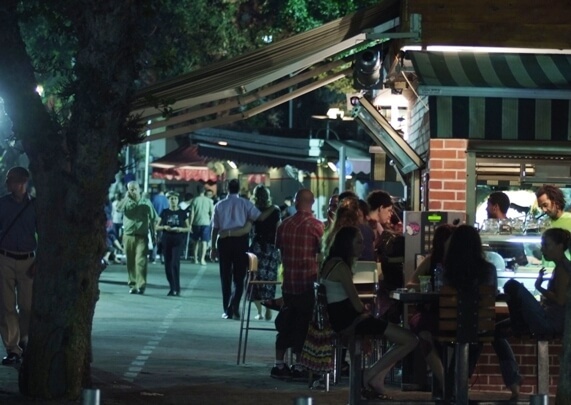 This page covers all the different ways for getting around in Tel Aviv. You can click on each of the squares below, read about Public Transportation in Tel Aviv or read through the entire page. Yarkon Park is the green lungs of the greater Tel Aviv area. 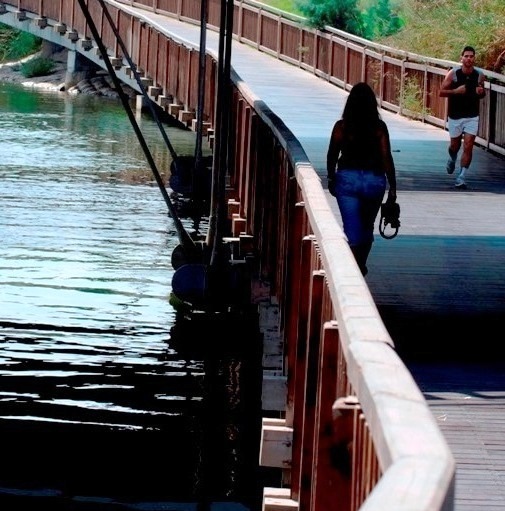 There are walking and biking trails along the banks of the Yarkon River. You'll pass grassy areas, trees, sports stadiums, rocks for climbing and lots of locals enjoying the park. 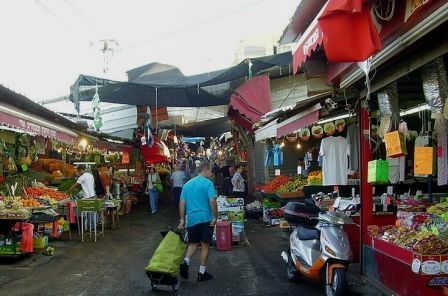 Shuk HaCarmel is Tel Aviv's largest open-air market. Stroll in between stalls and alleyways and get ready for an assault on your senses - the sights, sounds, smells and especially the tastes of the market. Biking can be a super fun way to get around Tel Aviv. 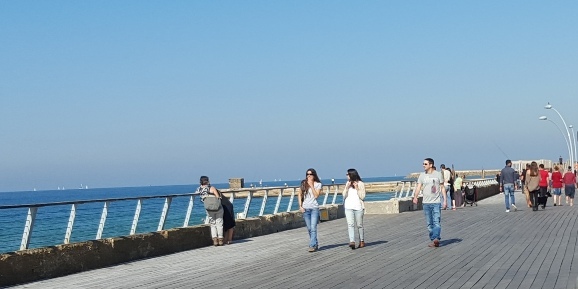 There are about 80 kilometers of bike trails in the city, the weather is mild most of the year and as already mentioned, Tel Aviv is mainly flat. Wherever you go in Tel Aviv, you'll see bikers. 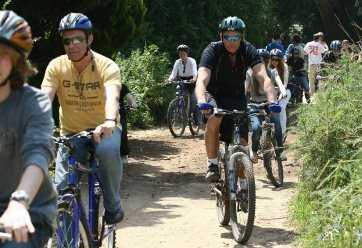 So how can tourists find bicycles for riding? Many hotels and bike shops offer bike rentals and some hotels offer bikes for free as a service for their guests. Like other cities around the world, the City of Tel Aviv runs a popular bike rental program called Tel-O-Fun, with thousands of bikes ready to rent in docking stations all all over the city. You can pick up a bike and return it somewhere else. Read more about how it works, bike rental locations and prices here. An even more convenient bike rental program is Mobike, the Chinese bike-share program that you may be familiar with. The bikes have no docking station and can be found all over the city. Do you love the idea of biking around the city, but want to do it hassle-free, with a guide, well-maintained bikes and perhaps child or baby seats? 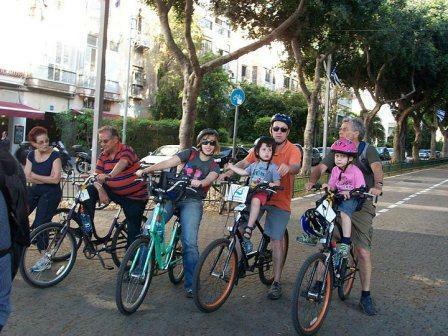 You can book a private, guided bike tour in Tel Aviv. 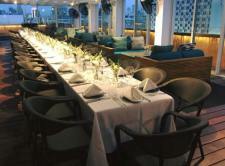 Find prices and booking details here. Tel Aviv has an extensive bus and rail service that operates all week long until late at night. Just be aware that public transportation in Israel is closed from Friday afternoon (around 4 PM) until Saturday night (about 7 PM) as well as during religious holidays. Find an up-to-date- schedule of holidays in Israel here. Bus drivers and train conductors are usually friendly and speak some level of English. If you need help, definitely ask fellow passengers. 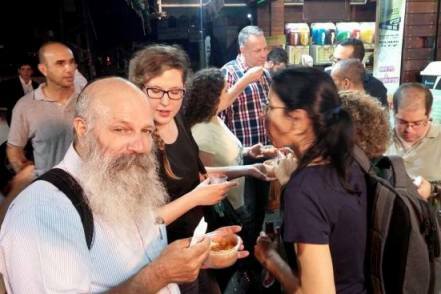 Most Israelis are friendly and happy to help. For detailed routes and scheduling information, you can check the Moovit APP, as explained below. Great news! A mass transit system is finally under construction in Tel Aviv. It's been a long, long wait. There will be a combination of underground and above-ground sections along three planned routes. The first 'red' line is scheduled to go live in 2021, purple and green lines in 2024.
and Egged for intercity routes. Bus service starts at about 5 AM and runs until 11 PM or midnight, depending on the line. As mentioned above, public transportation including buses does not operate on the Sabbath, from Friday afternoon at around 4 PM, until Saturday night at about 7 PM. The same goes for religious holidays and holiday eves. So the best alternative to bus service in Tel Aviv on the Sabbath is Sherut Service. A one-way ticket on a Dan bus in Tel Aviv costs 5.90 shekels (updated in 2019). If you ride to the northern Tel Aviv suburbs, the price is 9.30 shekels. How do you pay for the bus? You can only buy single tickets on buses via cash. If you are planning to travel a lot by bus, you need to buy a Rav Kav magnetic transport card. Rav Kav cards can be used on all the country's buses, trains and the Jerusalem light rail. You can buy the card at the central bus and trains stations in Israel, and at retail chains such as Super-Pharm (pharmacies all over Israel), Tzomet Sefarim (boot stores all over Israel), and kiosks at some of the bus stops. There is supposed to be a way to order Rav Kard cards online, but unfortunately, the interface is for Israelis only. Some buses may have card loading kiosks, but don't count on it. You need to preload or reload the card before you go on the bus. You can load money on the card at the places mentioned above, and via the Rav Kav App, currently available only Don Android smartphones. Central Bus Station - which is a short walking distance from the Hagana ‎Train Station. Buses can depart from the 4th floor, the 7th floor or Levinsky Street. Arlozorov Bus Terminal - also called Masof 2000, is near the Savidor Central Train Station. Carmelit Bus Terminal, at the end of the Carmel Market. Bus 4 - runs from the 4th floor of the Central Bus Station, along Allenby Street, to Ben Yehuda Street which runs parallel to the Tel Aviv beaches one street east of the sea, and ending just north of the Tel Aviv Port at Reading Station. Bus 5 - runs from the 4th floor of the Central Bus Station, along Rothschild Boulevard, along Dizengoff Street, via HaBima Square, to the old North areas of Nordau Street, Weitzman Street, and Yehuda Hamacabi and ends in the Arlozorov Bus Terminal / Savidor Train Station. Bus 10 - runs from the Arlozorov Bus Terminal / Savidor Train Station, along Ben Yehuda Street, to the Carmelit Station near Carmel Market, along Yeffet Street in Jaffa. Bus 18 - runs from the Arlozorov Bus Terminal / Savidor Train Station, through King George Street, along Jerusalem Boulevard in Jaffa, and eventually to the city of Bat Yam. When: It runs every hour from 9 AM to 4 PM, Sunday to Thursday, and on Fridays till 1 PM. 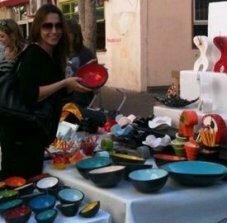 Route: Bus 100 starts at the Tel Aviv Port, runs south along the beachfront down to Jaffa, turns north passing Neve Tzedek, Rothschild Boulevard, City Hall and Rabin Square and continues to Ramat Aviv near the Eretz Israel Museum. Regular Ticket - costs 45 shekels, 36 shekels for children. You stay on the bus for two hours (or get off wherever you wish once). You pay the bus driver in cash. Daily ticket - costs 65 shekels, 56 shekels for children. You can get on or off as much as you wish during the day. You pay the bus driver in cash, or can purchase via your RavKav card. Israel Rail operates train service throughout Israel. Here's the current Israel Rail Station Map. 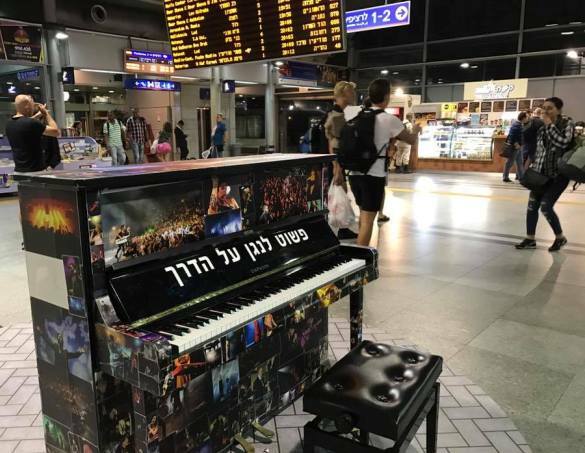 The Tel Aviv stations all have a piano, if you feel like playing... Believe it or not, lots of people stop on their way to play! 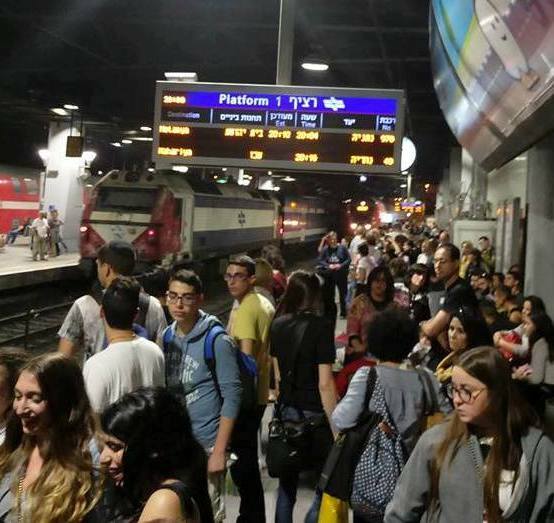 The Israel Rail service isn't really used for travel within the city of Tel Aviv, but instead for travelling to other cities and especially to the airport. Taking a train to/from Ben Gurion Airport and Tel Aviv is easy and relatively cheap. The currrent rate (2019) for a one way ticket is 13.50 shekels. Trains leave every 30 minutes during most of the day, and every hour between midnight and 6 AM. You can read more about Ben Gurion Airport train service here. Israel Rail service from Tel Aviv to other cities is an okay option. It can be fun, especially with kids if you're not rushed for time. Unfortunately, our national rail service is not up to par yet. There are often long delays, crowded trains, and the routes are slow, especially on Sunday mornings and Thursday afternoons. 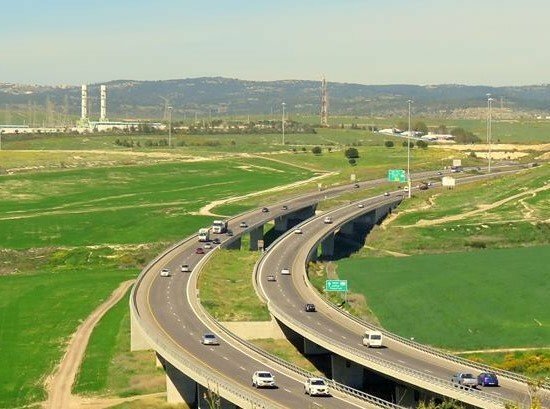 The new Tel Aviv to Jerusalem high-speed electric line is not yet fully functional, but one it finally is, it should become the ideal mode of travel between the two cities. 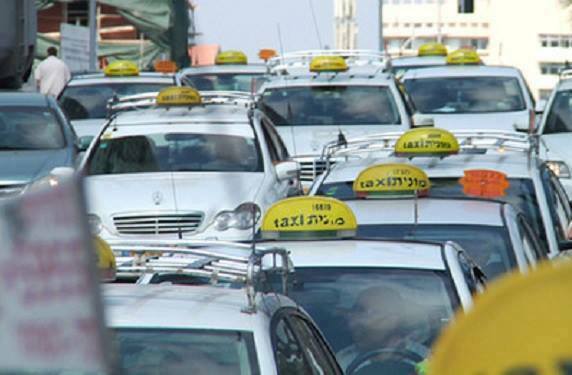 Taking taxis is usually the fastest and most reliable way of getting around in Tel Aviv. It is more expensive than public transportation, unless you are travelling in a group of 3 or 4 people. 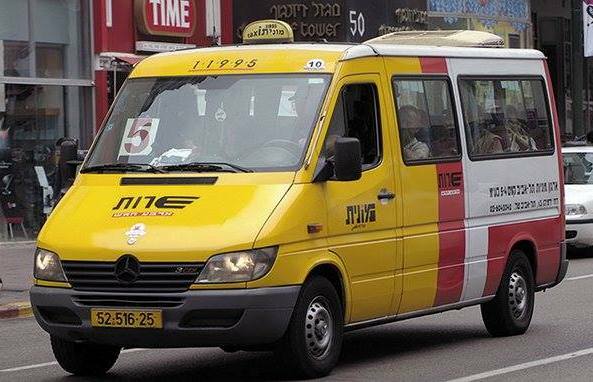 And since public transportation is closed on the Sabbath all over Israel (from Friday afternoon to Saturday night), taxis and Sherut service (see below) are the the only way for tourists to travel longer distances in Tel Aviv, unless they rent wheels. Taxis are easy to find and hail in major Tel Aviv streets. You don't need to tip the driver. If you wish, you can round up. So if your taxi fare receipt shows 23.20 shekels, you can round up to 24 or 25 shekels. Most taxi drivers are friendly and helpful, but there are always a few rotten apples who will try to cheat tourists. We recommend that you insist the driver turn on the meter and get out if he refuses before you start the ride. Or if you prefer, agree on a fixed rate before you start the ride. There are surcharges for night rides, for luggage and for pre-orders. If you suspect foul play, make sure you note the taxi registration number and/or the license plate, the driver's name which should be clearly displayed, and the date and time of the ride. You can report the incident to the Israel Ministry of Transportation. 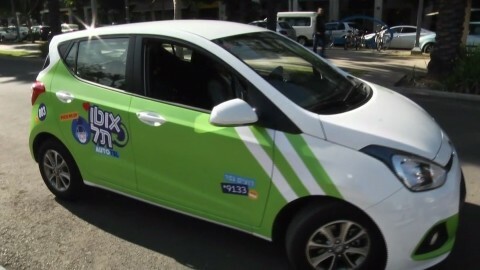 The most popular way to pre-order taxis is using the GET-Taxi App. You can pre-order a taxi via GETT anywhere in Israel, specify your pickup and destination address, the requested pickup time and pay via credit card. Sherut is a shared-taxi service that operates along a regular route. 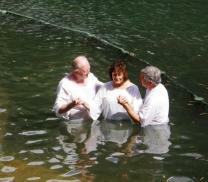 The service is offered from a yellow mini-van (usually). The service travels along one of the Tel Aviv bus routes. There are sherut lines for most of the bus routes used by tourists. You can see the route number displayed on the front window pane. And most important, they run on Friday nights and Saturday, when Israel's public transportation is closed! Are you thinking of driving in Tel Aviv? During rush hour, your travel time can be doubled. 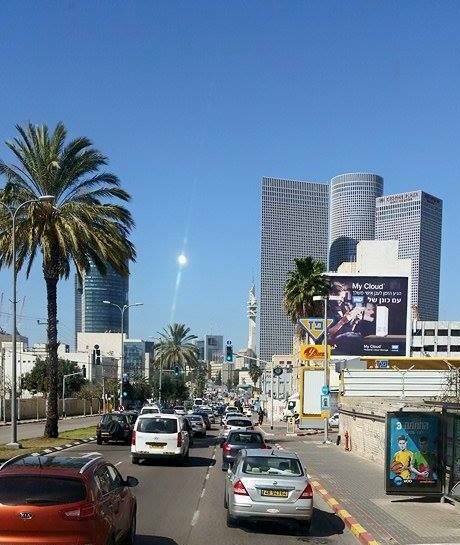 Rush hour in Tel Aviv is Sunday to Thursday from about 7:30 AM until 10:30 AM and from 4 PM until 7 PM. It isn't easy to find parking on Tel Aviv streets and if you find a parking lot, expect it to be expensive, especially during the day. Be careful not to park where you are not ‎allowed and not to drive during rush hour in bus lanes. 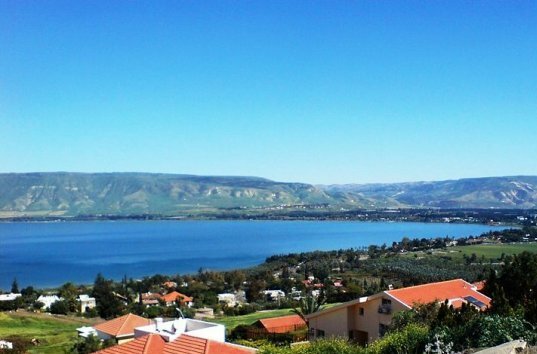 ‎Read up on our tips on driving in Israel. 1. You can use the City of Tel Aviv's AutoTel car-sharing program. The concept is similar to the City of Tel Aviv TelOFun bike share program described above. In the first month, you only pay per minute and there is no subscription fee which works great for tourists. You can pick up an AutoTel car from one location and return it to another location. The cars are parked all over the city. Parking is free in AutoTel parking spaces that are clearly marked in green all over the city. Read more about how it works and where to find a car, on the AutoTel website in English. 2. For maximum convenience, you can rent a car at the airport or in Tel Aviv. You can find most of the big international car rental companies here such as Hertz, Avis, Sixt (known in Israel as Shlomo Sixt), Budget and Europcar. The two largest Israeli car rental companies are Eldan and Albar. There are also many smaller Israeli car rental companies but we suggest you stick to the large companies, unless you have a personal recommendation. Discover Car Hire uses a car rental search engine comparing prices between all the major car rental companies. You can use them to check out car rental prices and availability for your travel dates in Israel. If you plan on taking public transportation in Tel Aviv or for that matter, anywhere in Israel, MOOVIT is the App of choice. Its available both on your smartphone and computer and is the best program for navigating your public transportation routes in Tel Aviv and in all of Israel. Learn more and start using Moovit here. 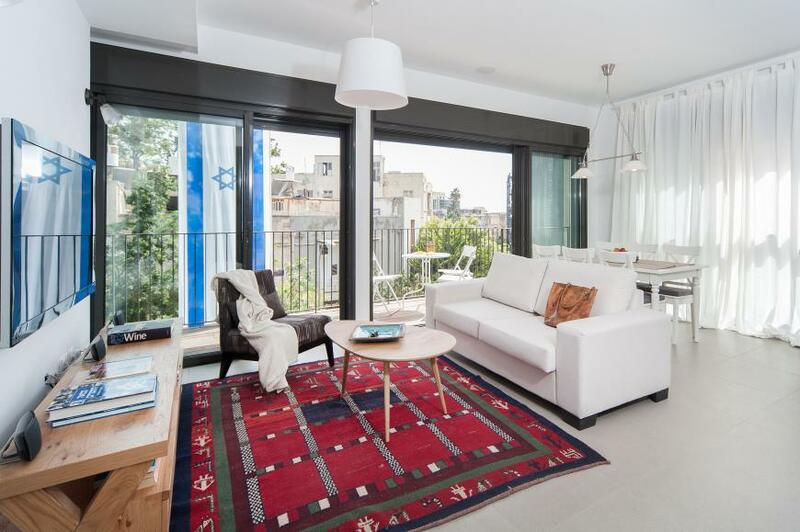 Happy Travels as you explore Tel Aviv!